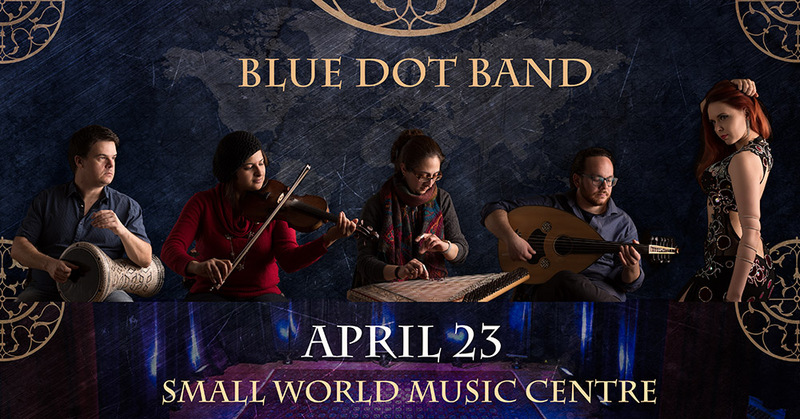 Join the Blue Dot Band for a night of world music and dance on our first show in Toronto. We'll take you on a journey exploring Persian Classical songs, Turkish Roma dances, Arabic Bellydance and Folklore tunes from Greece and Brazil. All prices in Canadian Dollars. Advance tickets can be purchased using credit card, debit or Paypal on the link above. All sales are final. No refunds. The venue is accessible. For any questions please contact via email at bluedotband@gmail.com or phone at (416) 400-7602.